Forgot Yahoo Login or Password? Internet Explorer Password Recovery Tool for Windows easily recovers all lost or forgotten logins and passwords for your account. Recovers all Internet explorer saved logins and passwords. Retrieves e-mail account passwords/logins instantly. Supports all versions of MS Internet Explorer. Supports recovery of for multilingual (bilingual) passwords. Allows to save password to the user specified location. Has user friendly interface and easy to use. Login to Yahoo automatically with a password management software. From now, to login to Yahoo automatically, just click on the "Yahoo Mail" button. 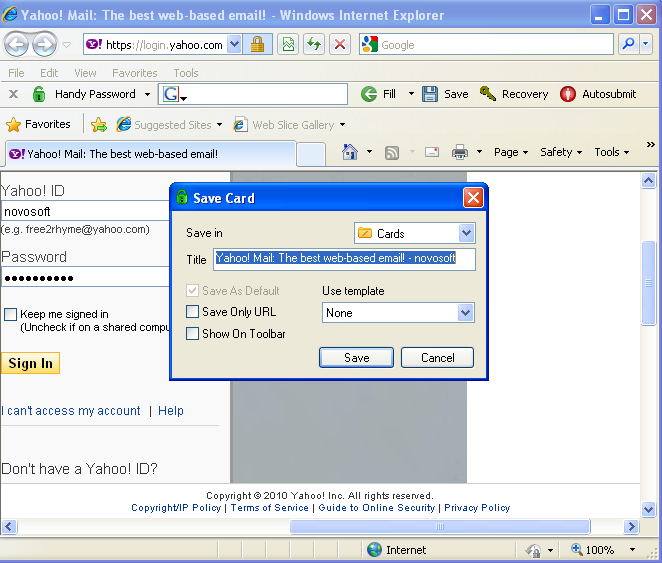 Handy Password is also called a bookmark manager, because "Yahoo Mail" button appears on IE or Firefox browser toolbar like bookmark and contains not only filled form fields, but also a site url, so you can at once enter a site and login to it. 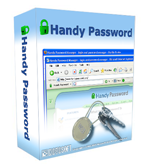 Read about automatic login, password keeper and other features of Handy Password.